Hello bloggers, happy Saturday!!! So, one of my absolute favorite animals in the world is a Monkey! I just think that they are sooo awesome and one day i hope to own one (a battle i don't think my hubby will let me win, hehe). For today's card i used the stamp set Silly Monkey, made by the Paper Studio. 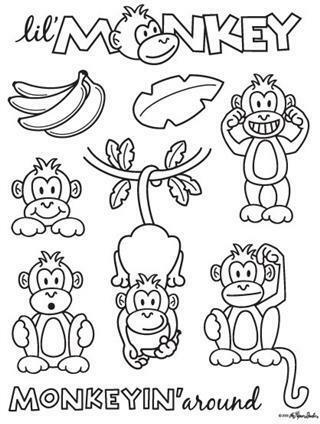 It is such a cute set and has lots of images to choose from! I free handed my tree using Soft Suede Card Stock and then used my sponges and sponged Bashful Blue ink for my sky! For my tree leaves i used my 1 3/4" Scallop Circle punch, brushed the edges with some Wild Wasabi ink and then placed them where i thought they looked good as leaves! 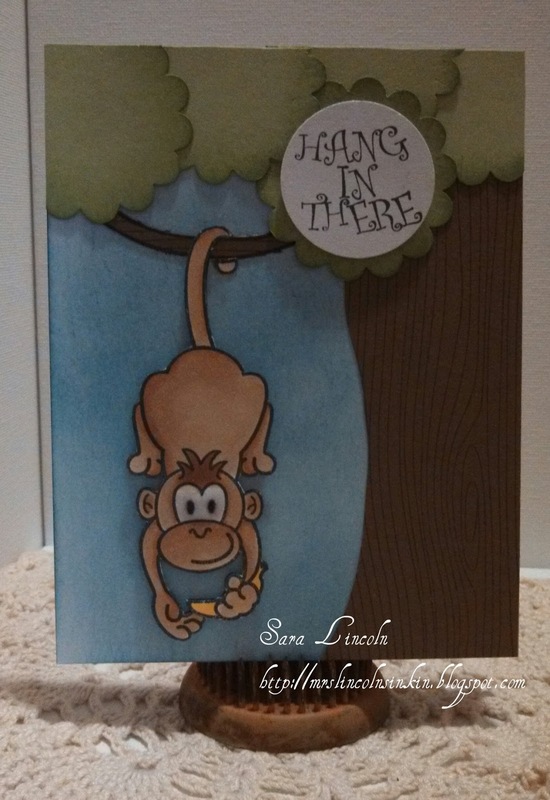 For today's featured stamp.... you guessed it, it is Silly Monkey stamp set by Paper Studio.